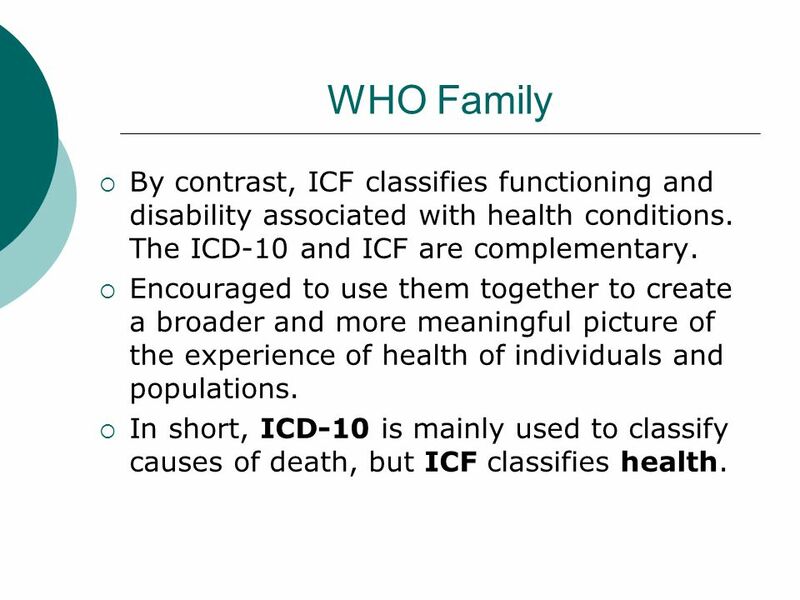 The International Classification of Functioning, Disability, and Health (ICF) is part of the 'family' of international classifications developed by the World Health Organization (WHO). 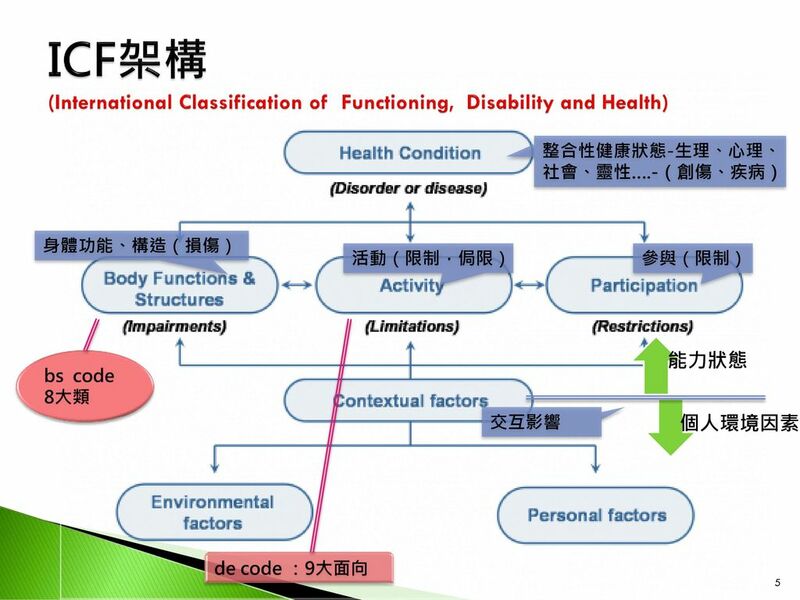 The ICF has been developed for use in describing functioning and disability. It is now recognised as a core member of the WHO family of health-related classifications, complementary to the ICD, which focuses on diseases and health conditions.